ڈراپ کیچیز ،، لاسٹ میچز ???? 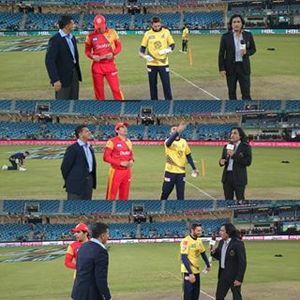 Islamabad United going with run and ball. United are 49-0 in 8 overs. #PSLT20 Sharjeel khan looking good. Zalmi forcing mistakes from United batsmen.. Half chances can convert into full anytime.. #PSLT20 . I want #PSL to win.